The Dawn of Justice has arrived, and with it the first instance of DC’s Trinity on screen together in a film. Batman and Superman have appeared in over a dozen movies over the years, but Wonder Woman has finally made her debut. Even better, the character will be getting her own movie next summer, but she’ll be a little different than the version you just saw in theaters. Gadot goes on to describe her take on Wonder Woman, in particular when she finds herself fighting a massive villain such as Doomsday. Yesterday, saw a new photo from the solo Wonder Woman movie debut, giving fans a first look at Diana’s immediate family. Some cried foul, however, since Themyscira has long been a very diverse place for the inhabiting Amazons, and director Patty Jenkins took to Twitter to say that’s what the final film will reflect. Thanks all. Excited to share! And no worries. Lots of great, diverse characters on Themyscira. This is Diana’s direct family. More soon!! Wonder Woman also stars Robin Wright (The Girl with the Dragon Tattoo, Netflix’s “House of Cards”), Danny Huston (Clash of the Titans, X-Men Origins: Wolverine), David Thewlis (the “Harry Potter” films, The Theory of Everything), Ewen Bremner (Exodus: Gods and Kings, Snowpiercer), Saïd Taghmaoui (American Hustle), Elena Anaya (The Skin I Live In) Connie Nielsen (Gladiator, Nymphomaniac: Vol. I) and Lucy Davis (Shaun of the Dead). 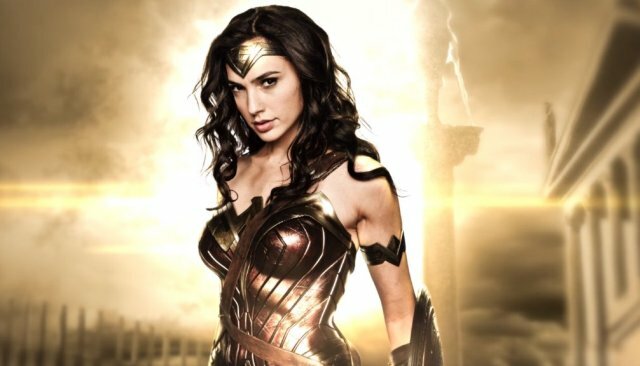 Set to open on June 23, 2017, the Wonder Woman movie is based on characters created by William Moulton Marston, appearing in comic books published by DC Entertainment. It will be distributed worldwide by Warner Bros. Pictures, a Warner Bros. Entertainment Company.